Jenny Jones won a bronze medal for Team GB in slopestyle snowboarding at the 2014 Winter Olympic Games in Sochi. Jenny is sponsored by Oakley, Relentless, Salomon and Pentax, but before you get sponsorship deals, athletes have to fund their own way to be able to train, buy their gear and travel to competitions. To fund her love of snowboarding, Jenny Jones worked as a ski chalet girl in the French ski resort of Tignes. As a chalet maid, once the cleaning is done, you are free to hit the slopes with the free ski pass your employers provide. This is a fantastic way to earn while you learn. Will you become the next skiing or snowboarding champion? Jenny Jones started out in athletics, running the 400m, doing long jump and cross country. She also competed in gymnastics. Jenny Jones learned to snowboard on a dry slope in Bristol. I learned to snowboard on a dry slope before snowboarding on snow. Snowboarding on a dry slope means that you have to get your technique right. Due to the surface, you really do have to work out the exact movements to get the turns right. Snowboarding on snow is so much easier and much more forgiving if you get it wrong. After becoming adept at snowboarding, Jenny is now 3 times gold medallist at the X Games slope style, and has the bronze medal for slope style in the Winter Olympics. Whether you learn to ski or snowboard on a dry slope or in an indoor snow centre, once you catch the snowsport bug, you want to do it as much as you can. It gives you such a buzz when you get it right, and the snowsports community is very sociable. If you love snowboarding and want to try doing some slopestyle tricks, one of the best ways to learn is to go to one of the freestyle sessions at an indoor snow centre. You can see what it is all about, have a go, and get great tips and advice from other snowsports enthusiasts. The Freestyle Thursdays and Fridays at Hemel Hempstead Snow Centre are on real snow indoors all year round. You can learn how to snowboard, and progress onto more knarly stuff under the expert tuition of snowboard instructors. Now that you can’t get enough of snowboarding, you are going to need the cash to pay for it. The snowboard, boots, bindings, helmet and body armour are a worthwhile investment if you intend to keep doing it, although you can use it for free when you go to any indoor snow centre. But, beyond the snow centres, you can’t beat the feeling of snowboarding down a seemingly endless run on a real mountain. Snowboarding in the French Alps will cost you for the flights, transfers, accommodation, lift passes, food and insurance. This is where the clever and cunning find ways to spend their winters on the slopes and get paid for it as well. There are a variety of seasonal ski resort jobs that will see you on the way to snowboarding success. If you get yourself a job as a ski chalet maid, the company you work for will usually pay for your travel and accommodation, and include a free lift pass. You will get paid a salary on top of that as well! 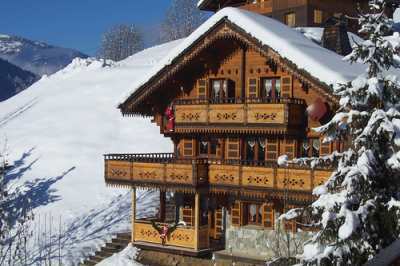 All they ask in return is that you ensure that the ski chalet is kept clean and tidy. Once the work is done, you can hit the slopes. If you have great people skills and can cook, then you might prefer to get a job as a ski chalet host. It pays more, especially if you speak more than one language. The ski chalet host job entails making sure that your guests are looked after when they return from a day on the slopes. You have to provide breakfast and dinner, and keep the place clean and tidy. Usually you will get Wednesdays off, so you get that entire day free for snowboarding. There are other jobs you can do in a ski resort. For example, Alpine Elements winter ski jobs include resort manager, ski technician, chef, housekeeper, restaurant staff, bar assistants and hotel assistants. 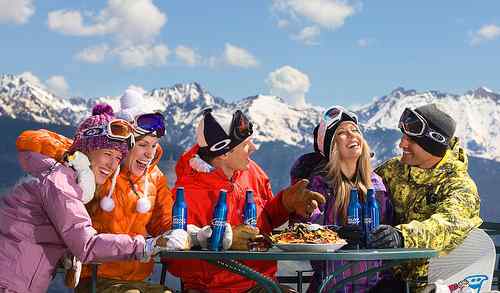 The most appealing ski resort jobs are to be a ski instructor or snowboard instructor. You will need to have a British Association of Ski Instructors BASI qualification to do this. You will need to be a real people person to help others learn to ski or snowboard. Still, you get to share your passion with others. You could get a job as a ski lift operator, which can be dull and cold just standing there. But, you don’t need any qualifications for that. Other ski resort jobs include piste basher (pisteur), ski patrol, resort management and maintenance, drivers, and bar or restaurant staff. If you can speak a foreign language, that is a real bonus. Once you have funded your snowboarding passion through being a chalet girl, quality inspected vast amounts of cardboard boxes, taught fencing, and sold doughnuts, if you are great at what you do, you can fund your snowboarding through sponsorship. This is where big brand companies give you free gear and cash in exchange for you promoting their brand name. Jenny Jones is sponsored by Oakley (goggles and clothing), Relentless (Relentless Freeze Festival in London), Salomon (snowboard and gear) and Pentax (photography). the ski jackets and clothing that Team GB are wearing is provided by Adidas.